Jehovah … gave his worshippers the supreme example of ideal laziness; after six days of work, he rests for all eternity. 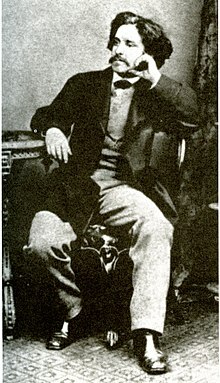 Paul Lafargue (January 15, 1842 – November 26, 1911) was a French revolutionary Marxist socialist journalist, literary critic, political writer and activist; he was Karl Marx's son-in-law, having married his second daughter Laura. When, in our civilized Europe, we would find a trace of the native beauty of man, we must go seek it in the nations where economic prejudices have not yet uprooted the hatred of work. … The Greeks in their era of greatness had only contempt for work: their slaves alone were permitted to labor: the free man knew only exercises for the body and mind. … The philosophers of antiquity taught contempt for work, that degradation of the free man, the poets sang of idleness, that gift from the Gods. Philanthropy means to steal wholesale, and give away retail. This page was last edited on 26 January 2019, at 02:41.